In 1964, a book was written called the 'Hyakumeizan' or the 'hundred most famous mountains.' Japan is certainly a mountainous country, so those that were chosen incorporated grace, history and individuality. Rishiri certainly doesn't lack individuality or grace. It is an island volcano which rises out of the Sea of Japan to 1,721 meters. Sometimes being referred to as 'Rishiri-Fuji' for its likeness to Mt Fuji. 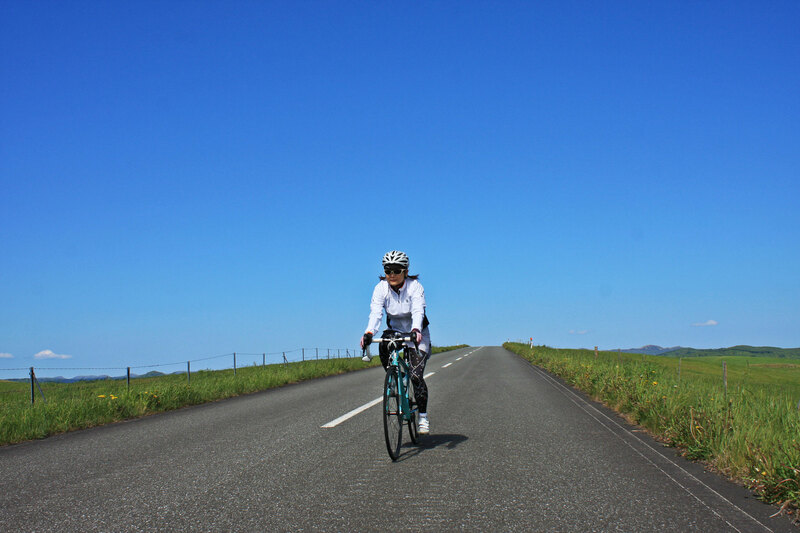 Cycling the area of Sarobetsu in the north west of Japan provides a unique setting for cycling due to its proximity to Rishiri. It is an isolated corner of the island of Hokkaido where a four hour drive would take us closer to nothing, or further away from any major towns. How populous an area in Japan can often be denoted by the number of convenience stores there are, and the last we came across was a good hour and a half from our planned route. 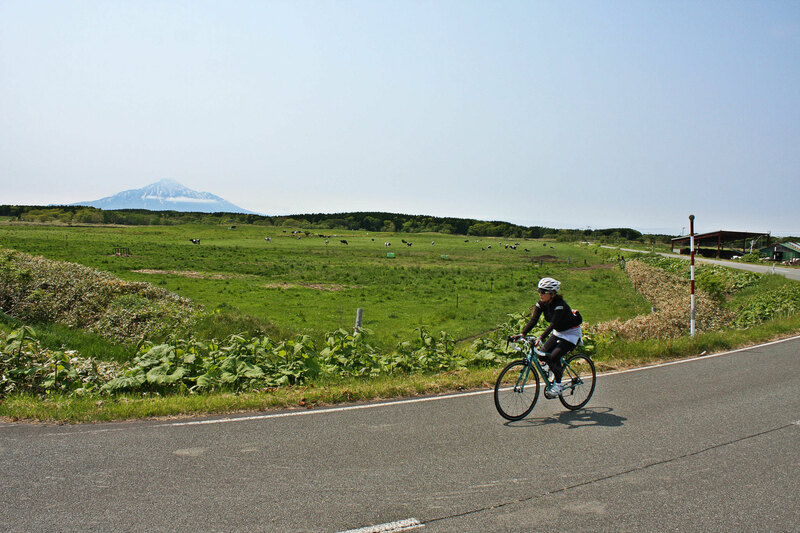 We were in the centre of Hokkaido's dairy farming district and judging from the sea of green and surrounding rolling hills, the cycling was going to be good. Our loop was take us on a coastal road sometimes only a few meters from the beach. Directly across the ocean Mt Rishiri sat serenely, partly cloaked in morning cloud. 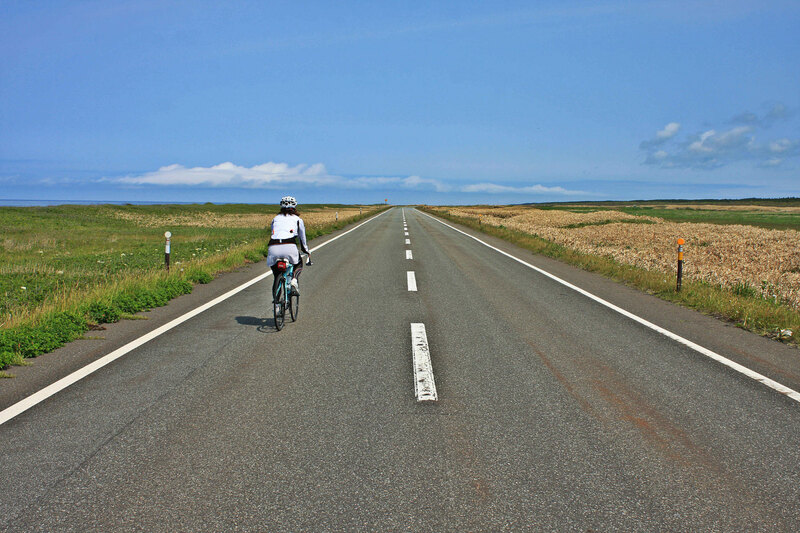 With wind at our backs we coasted the smooth asphalt northwards, views of green on one side and blue on the other. After around 30 kilometres we started to circle inland through dairy pastures. The cows seemed quite interested in a couple of cyclists rolling past, as if we were the attraction and not them. 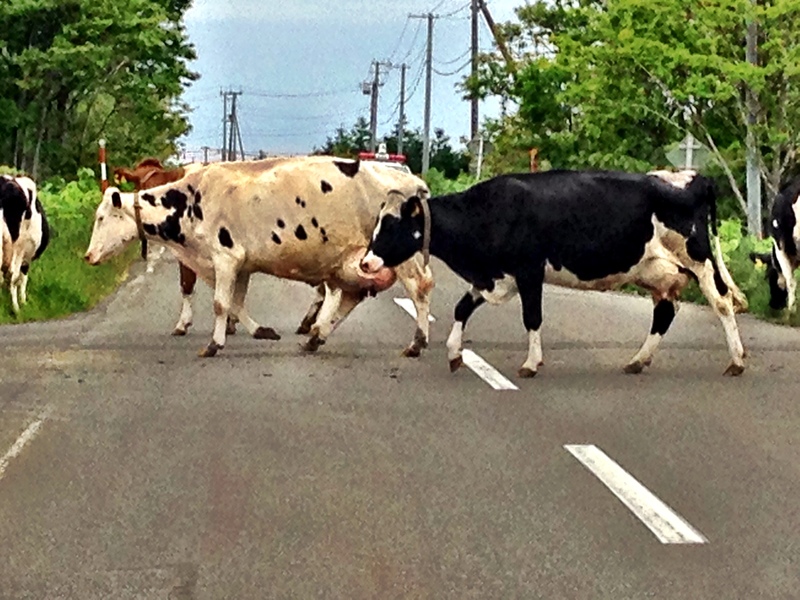 The traffic consisted more of cows crossing the roads than actual vehicles. 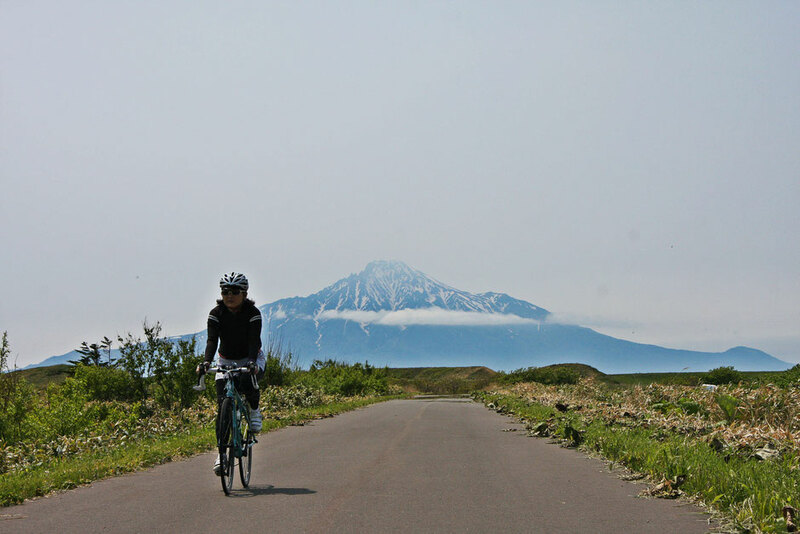 Although the second part of the ride headed inland, Rishiri always provided us with her visual spectacle. Like riding in the shadow of a giant. I am so excited to see your blog and come full circle in my hops.Utilize makes them to a great degree lucrative for angler to hunt and catch. The quantity of these fish are lessening. On an ethical level, it's crippling to see a whole types of fish wiped out by insatiability.Thank you to all you fabulous bloggers for doing this.